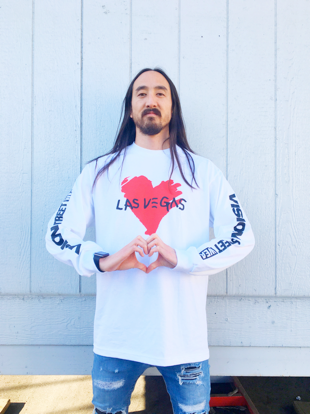 DJ Steve Aoki has launched a special edition t-shirt through his Vision Street Wear line to benefit victims and families of the Las Vegas mass shooting, with 100 percent of net proceeds going to support the Las Vegas Victims' Fund. 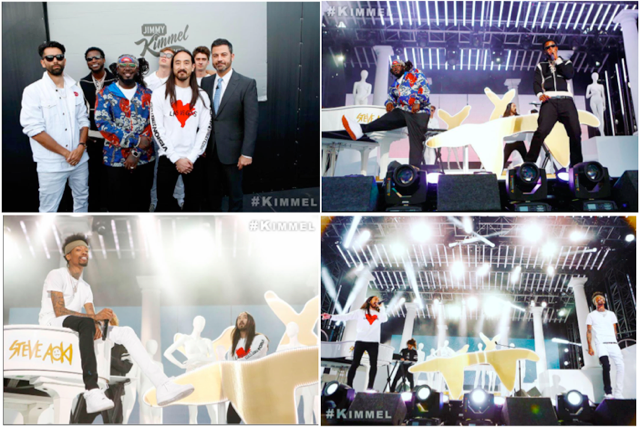 Aoki, who lives and works in Las Vegas, honored his home during the Jimmy Kimmel Live Outdoor Concert on Thursday. The Fund was started by Clark County Commission Chair Steve Sisolak and Clark County Sheriff Joe Lombardo, and has already raised $10 million of its $15 million goal so far. Head here to pre-order a shirt and benefit the victims of the deadliest mass shooting in American history.